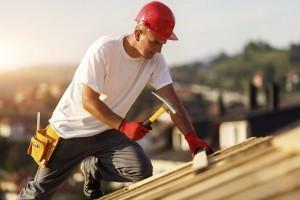 Do You Need Quality Roof Installation? A quality roof installation isn’t just about efficiency, expert craftsmanship, and friendly service. When you get an expert level craftsmen to install your roof, you need to know they’re installing the right roof for your property. With more than 30 years of experience in the Northwest, at Pioneer Roofers we know what it takes to withstand the elements. With a variety of roofing options, and a number of different materials, we’re your roofing experts. We can identify the best installation for your needs based on your building type, location, and intended use. Residential roof installation in Beaverton is often vastly different from commercial roofs, so it’s important that you know the differences before diving in. Our roofers keep you informed, helping you make the right roofing decisions so that your new roof will last for decades. Pitched roof installation in Beaverton is a fantastic option for homes. Because of its excellent ability to control water flow, it suffers water related damage significantly less than a flat roof does. With a beautiful traditional look, this welcoming roof style isn’t just good for water removal. 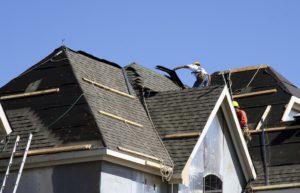 It also means pitched roof repairs are often minimal and less costly. This is because damage is not usually serious and occurs less frequently. With a variety of material options, whether your looking for rustic shake, cost effective and reliable tile, long lasting metal or more, our craftsmen can provide it. Is Having A Flat Roof Installed Right For You? Flat roof installation is a great choice for multi-storied buildings, and often chosen for commercial roof installations in the Beaverton area. That’s because flat roofs actually make it easier to stack floors, they also provide our roofers with more building options than pitched roofs do. Flat roof installation is also an easier process, and the initial installation often costs less than other styles of roofs. With lower maintenance needs, this roofing choice is more affected by rainfall, which can lead to an increased need for repairs. Our expert roofers will go over every option with you to ensure you get the perfect roof installation for your needs. Another great benefit of flat roof installation Beaverton is for multi-use purposes. Patio roofs and garden roof tops make a great addition to flat roofs, providing home and building owners with extra space to entertain. In crowded cities, use of this space as a private oasis cannot be overstated. When you need a roof installed in the Beaverton area by experienced and knowledgeable professionals, call (503) 281-0305 or contact us today. As one of the best cities surrounding Portland for settling down while maintaining an easy commute, Beaverton is great place to call home. The expansive City Library has a number of great programs geared towards children and adults. These include frequent musical guests and mixed media projects for teens and children. For those looking to get outside while they meet new people, Beaverton has some great options. The Farmers Market has been going strong since 1988. This give residents a chance to enjoy local fair including home baked goods and fresh produce, as well as gorgeous and functional art by local artists.